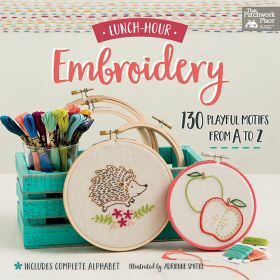 It's the debut book in Martingale's "Lunch-Hour" series! 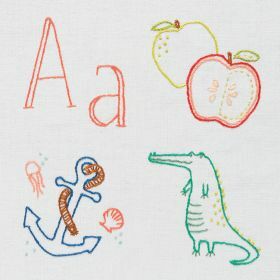 From apples, anchors, and alligators to zebras, zippers, and zinnias, you'll love creating your own embroidery art from A to Z. 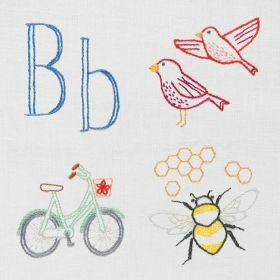 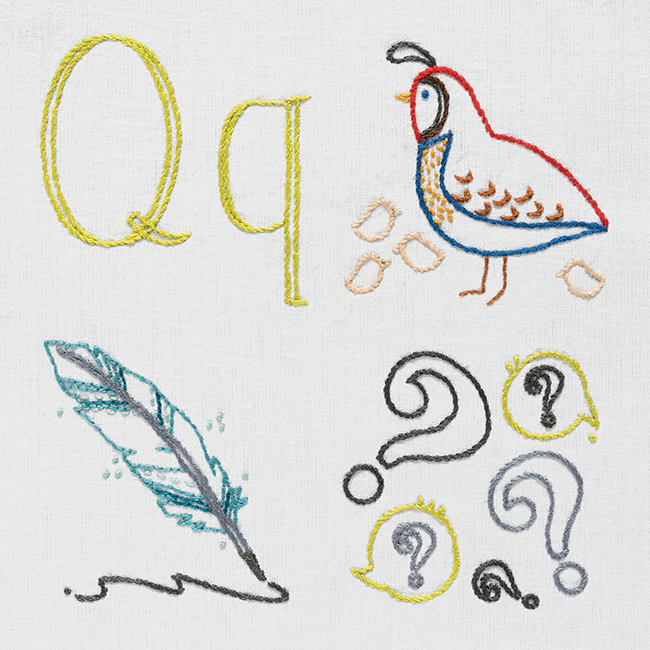 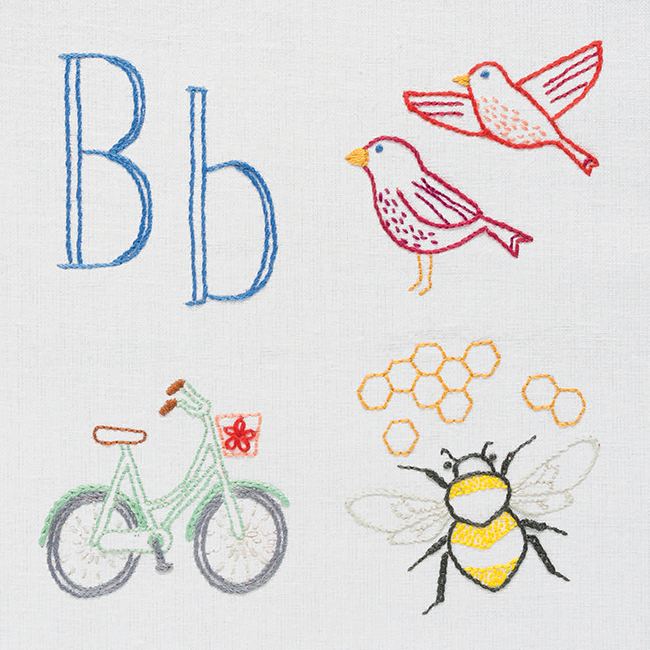 Learn 10 basic embroidery stitches in minutes; then choose from more than 75 cute motifs to embroider, plus the entire alphabet in both capital and lowercase letters. 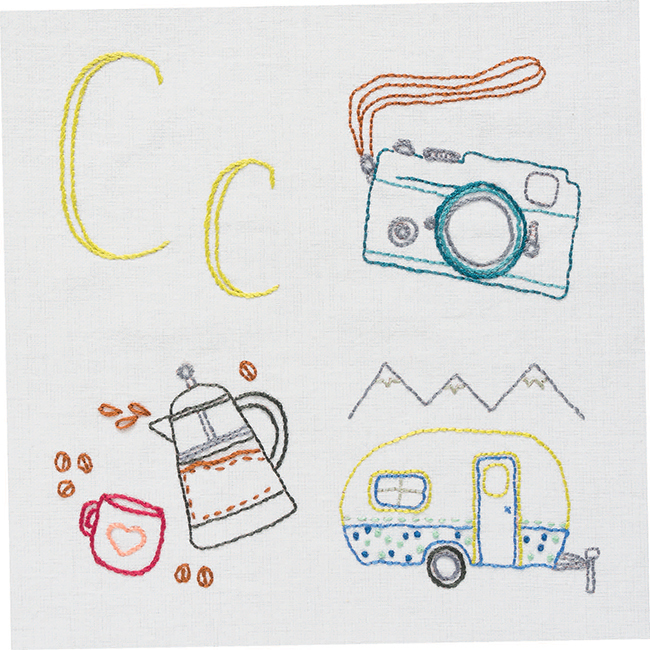 Mix and match motifs and letters to create one-of-a-kind embroidery art! 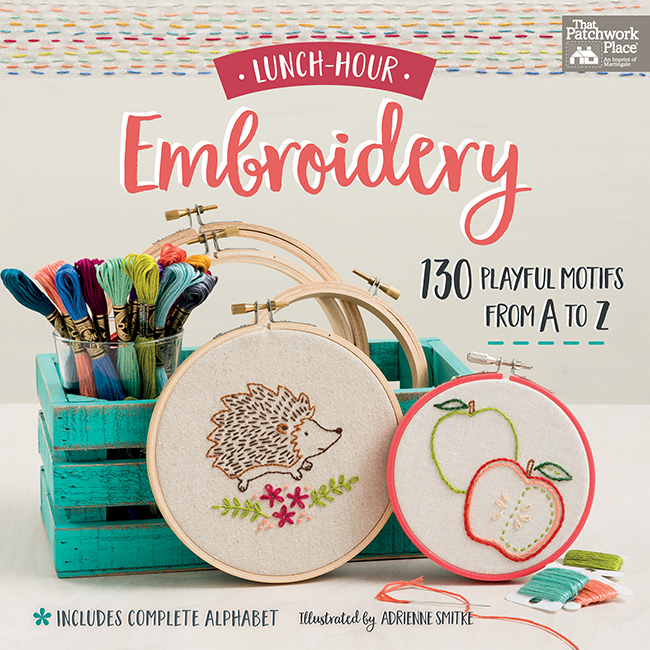 Sneak in a few stitches during lunchtime, car time, game time--anytime. 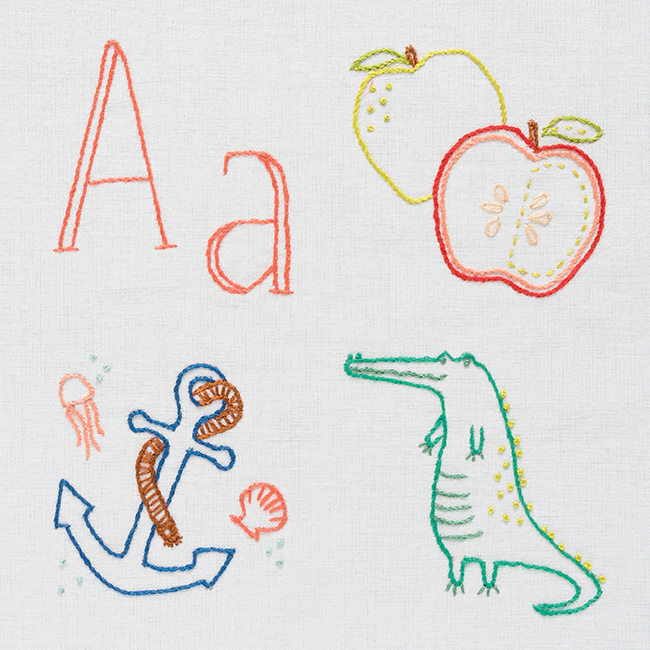 Embroider motifs onto bags, clothing, linens, and more, or follow the easy instructions inside to display your embroidery. 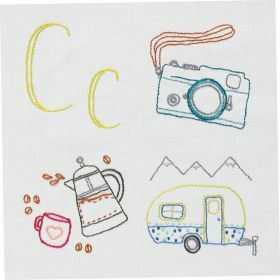 Projects are perfectly portable, so anyone can steal a few seconds to stitch no matter where they go!